WordPress 4.5: What’s New & Exciting for Users and Developers? While the dust has not yet settled on the release of version 4.4, the WordPress core team is back again with version 4.5. Yes, you’ve heard it right! You’ll see “WordPress 4.5 is available! Please update now” message in your WordPress Dashboard soon since the core team has scheduled the release of version 4.5 for Tuesday, April 12th. Regardless of whether you are an experienced developer or a normal user, WordPress 4.5 brings something for everyone to get excited about. In this blog post, we’ll take a closer look at what features and improvements version 4.5 is bringing to WordPress lovers, specifically for end users and developers. WordPress 4.5 brings a very cool and useful feature, called site responsive preview, to the Customizer. Using this cool feature, you would now be able get a generic idea of how your website looks on mobile, tablet and desktop devices before making any changes to its appearance. All you need to do is click on the respective device icon given at the bottom area of the screen to switch the view between these devices. However, by default, you will see the desktop preview of your site. 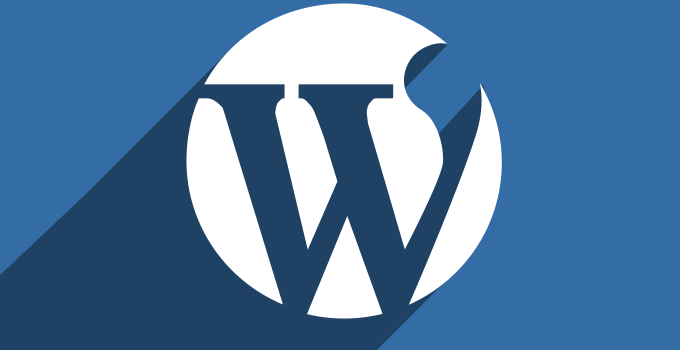 After the introduction of Jetpack’s Site Logo feature in 2014, many WordPress user were asking the core team to include this feature to the WordPress core. Considering the request of users, the team has added native support for a theme logo to the Customizer. Even though most of the premium WordPress themes already allow users to upload a custom logo using the options panel offered, the upcoming release of WordPress will let users add or change the theme logo directly from customizer. To avail this feature, the one and only condition is that your theme must support Logos. Inline Link Editing: WordPress Editor offers a number of shortcuts to save users’ a lot of time while writing. CTRL+K (Command+K on Mac) is such a shortcut that allows users to insert links into posts via a pop up window. In WordPress 4.5, pressing CTRL+K will not open a pop up window. Instead, it’ll show an inline insert link menu wherein you’ll have to enter the link. What’s more interesting is that you can also search and link old pages and posts in the current post. New Editor Shortcuts: Introduced in version 4.3, Inline text shortcuts give users the ability to quickly add formatting markup. Although several Inline shortcuts exist in WordPress for a variety of formatting, version 4.5 introduces two new shortcuts – 3 or more dashes (—) will change to < hr > and enclosing any text with ` will change to < code >text< /code >. 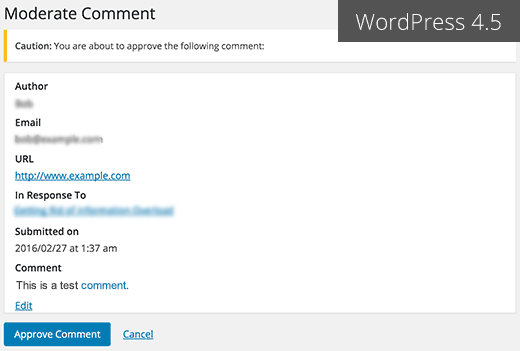 In the current version, when someone leaves a comment on your site, WordPress sends you an email notification with approve, spam or trash links. Clicking any of these links takes you to the desired screen, which neither allows you to edit the comment nor shows you any formatting in the text of the comment. Version 4.5 corrects this by showing comment preview with rendered formatting and providing a link to edit the comment. WordPress recently introduced responsive images in version 4.4, which allows users to see the images in the size appropriate to their device screen and consequently saves their money spent on data plans. Version 4.5 improves this feature even more. As a result of an improvement made to its Imagick compression settings, WordPress 4.5 will reduce image size up to 50% without any loss in image quality. However, we still recommend you to use optimized images for best results possible. Since it’s quite difficult to remember all the usernames we use across the web, popular sites like Facebook, Twitter and Google+ allow users to login using their email addresses and now, WordPress is also no exception. 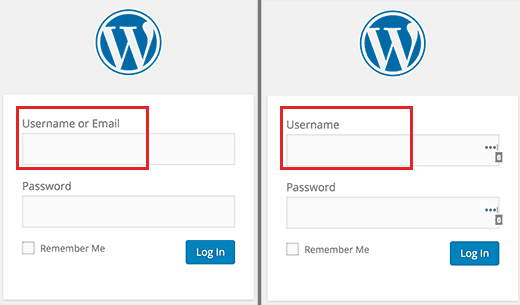 Unlike previous versions of WordPress, where users were able to login only with their usernames, version 4.5 will allow users to use both username and email address to login. In version 4.4, even if you make a small change to the customizer, the entire page reloads to apply that change. That will not be the case with version 4.5 because it’s packed with a comprehensive framework that uses AJAX technology to refresh the specific portion of the page in the customizer. Needless to say, this will make development workflow incredibly fast. However, theme and plug-in developers are required to test whether or not their widgets are compatible with Selective Refresh. Where WordPress 4.4 allows you to embed posts from your own and other sites, WordPress 4.5 makes the embed templates customizable so that theme developers could create custom displays in their themes. WordPress 4.5 offers a more object-oriented approach for managing sites in Multisite. Instead of using global $current_blog, now it will use a new WP_Site class for multisite WordPress installs. Adding inline scripts will be much easier in WordPress4.5 with new wp_add_inline_script() function, which works in the same way as wp_add_inline_style() for CSS. In version 4.5, Backbone, Underscore and jQuery have been upgraded from v1.1.2 to v1.2.3, v1.6.0 to v1.8.3 and v1.11.3 to v1.12.2 respectively. Support for oEmbed moments and timelines from Twitter. Allow rewrite rules to work in nested WordPress installations on IIS. Fixes for SSL with responsive images. Added Check for a blank password when adding a user. 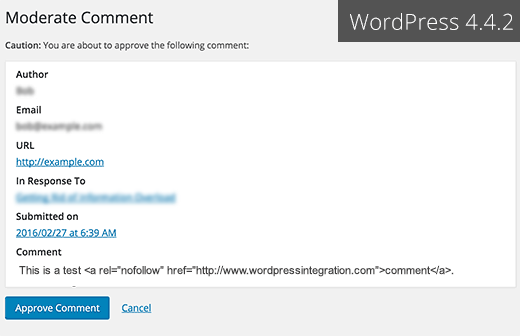 That’s all about WordPress v4.5! Published By: WordPressIntegration Team – Place your order now for our PSD to Responsive WordPress service, you may contact us via our contact form for any query.